Norman Meek discusses the history of Pleistocene Lake Manix at this field trip stop on the 1780 ft. shoreline of the former lake. Afton Road, Central Mojave Desert, California: Shore of Lake Manix. U. S. Interstate 15: at Afton Cyn Rd. 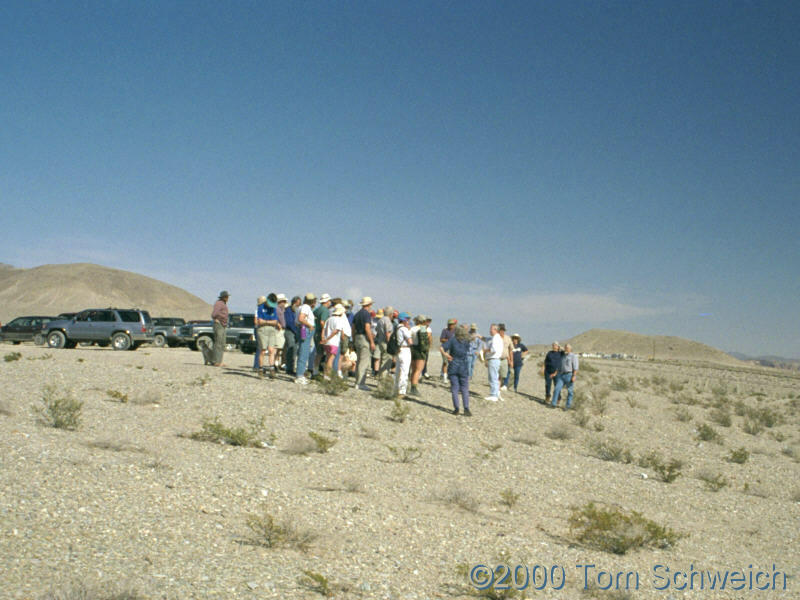 Other photos about Geography - Central Mojave or Afton Canyon.